Learn how you can help students with dyslexia at your school. We want to provide you with the current accurate information. Find out how you can help all Oklahomans with dyslexia get the help they need. Thank you for visiting Decoding Dyslexia Oklahoma. It is our mission to help Parents, Students, and Educators to understand dyslexia. We provide support and education on dyslexia through our network of Parents and Educators. We are 1 of 50 states in the Decoding Dyslexia Movement working on behalf of the 1 in 5 Students with Dyslexia. 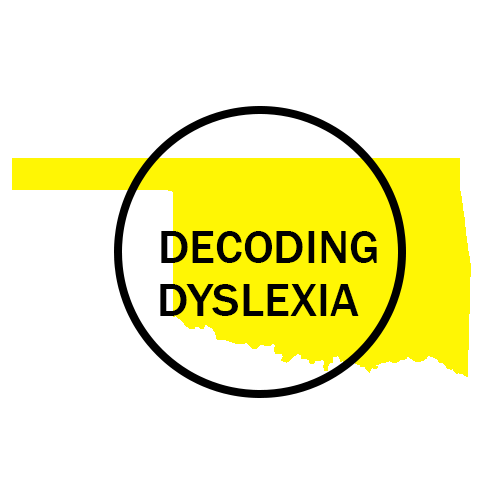 This will be a busy year for Decoding Dyslexia Oklahoma. We will be working with our community partners to provide screenings, assessments and support. We will also be working with the legislature on any bills that will affect our students with dyslexia. We will be speaking with our new State Superintendent Joy Hofmeister to see how we can help all the students in Oklahoma affected by dyslexia. Be sure to follow us on Facebook and Twitter. We will use both of these when we have great news to share or have need for your support.